This time of year makes me especially sentimental. Something about pulling out all of the Christmas decorations from years past, collected through hard times and good times, I reflect and remember what an adventure my life has been and how lucky I am. 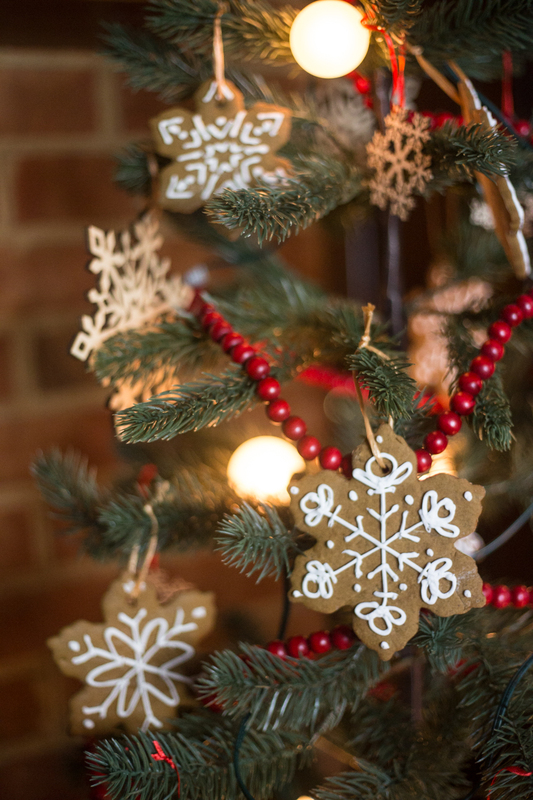 Our collection of handmade, pre-school, and slowly acquired ornaments is like the story of our family life, and the last thing to add is a fresh batch of gingerbread snowflake ornaments as a nod to where we began. When Dave an I were first married, we lived in a small basement apartment near the university. I was in nursing school and Dave was working odd jobs (valet parking, window washing) while he waited for me to finish so he could head out to Law School. We had very little money and lots of creativity and love. I laugh now thinking about how much we did with so little. We were almost literally “living on a prayer…” and doing it well. We trekked out to Northern California for Thanksgiving that first year married, just a month after tying the knot. When the family went scouting for the perfect live Christmas tree to cut down and bring home to Utah, we jumped at the chance to choose one too! We found a beautiful, scraggly Douglas Fir (or maybe it was a Blue Spruce. My Poppa would have known for sure.) and tied it to the top of the car for the road trip. Once home, with the tree set up in it’s base full of water, we strung up a couple strands of lights. It was so beautiful, and simple. The smell of pine filled our 400 square feet of living space, and made me happy every time I walked in the door. We didn’t have any ornaments, and didn’t have any money to buy them. So, I decided to make some. I remembered how my mom had occasionally made gingerbread ornaments for our Christmas tree growing up. We also a times had strung popcorn and cranberries for garland, while sipping wassail and listening to Christmas music– Amy Grant’s A Tennessee Christmas, most often. 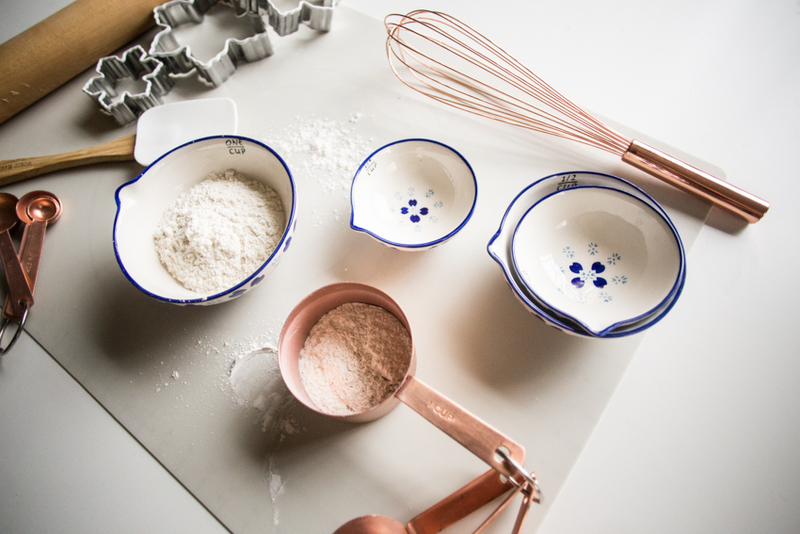 In the years leading up to my marriage I had been living abroad as a missionary, or living in the dorms and the University, and those down-home Christmas traditions felt a little ways away. 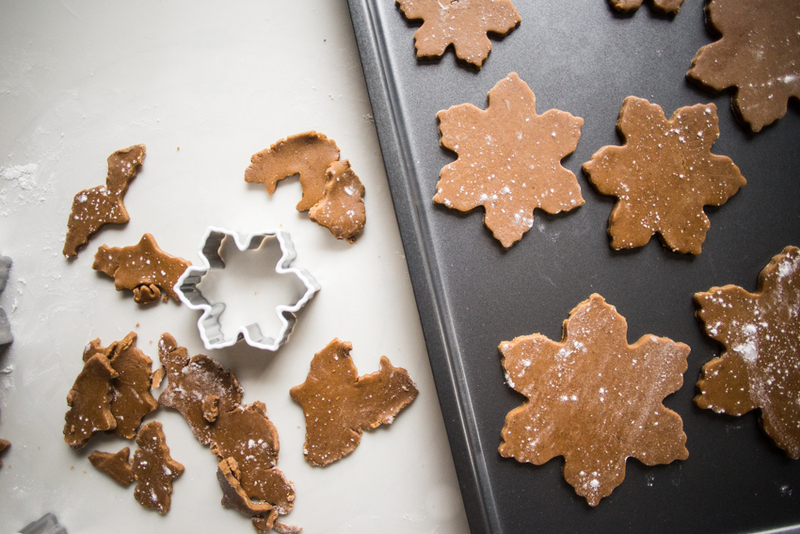 Not knowing what I was doing at all, I looked up a recipe and made a batch of thick, fat, inedible gingerbread snowflakes that were much better as ornaments than as cookies. Dave and I sat down together to decorate them and I mixed some blues and pinks into the icing. When we hung them on the tree I just laughed because they didn’t look festive or traditional at all! Just like some kids had gone a little wild at a birthday party with the frosting! 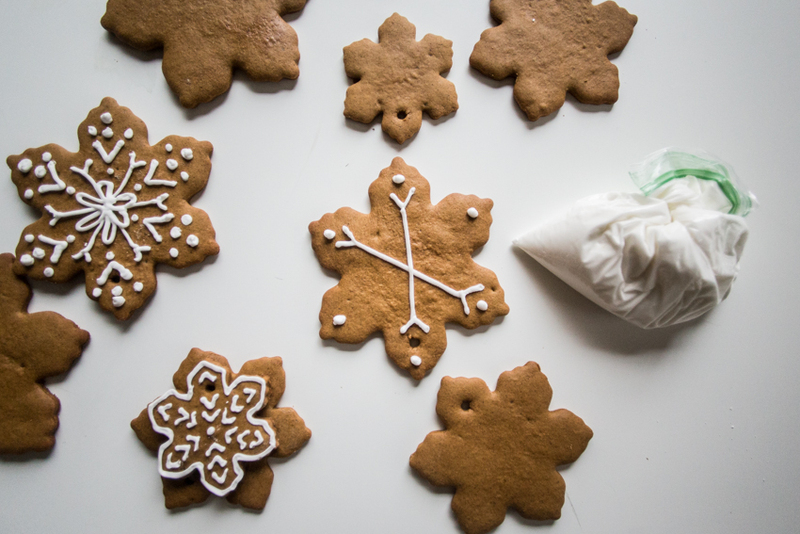 Dave was a really good sport, and when I made a second (much thinner, nicer) batch of snowflakes to decorate and told him we were sticking with white icing, he went right to work decorating away. 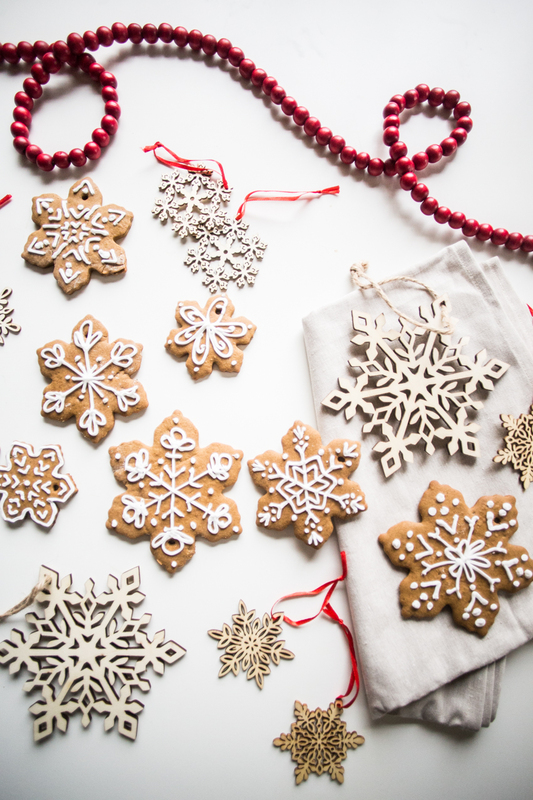 We finished up and hung round two of the gingerbread snowflake ornaments, and they looked beautiful. The snowflakes, along with some popcorn and cranberry garland, are what hung on the tree that first year. And each year after that we added just a couple small ornaments, some given as gifts, some remade from souvenirs, and years later some that came home from preschool as our sweet little kids came along. Over the last ten years since that first Christmas as a couple, beginning our own life together and making things work with what we had, we have made lots of gingerbread cookies. 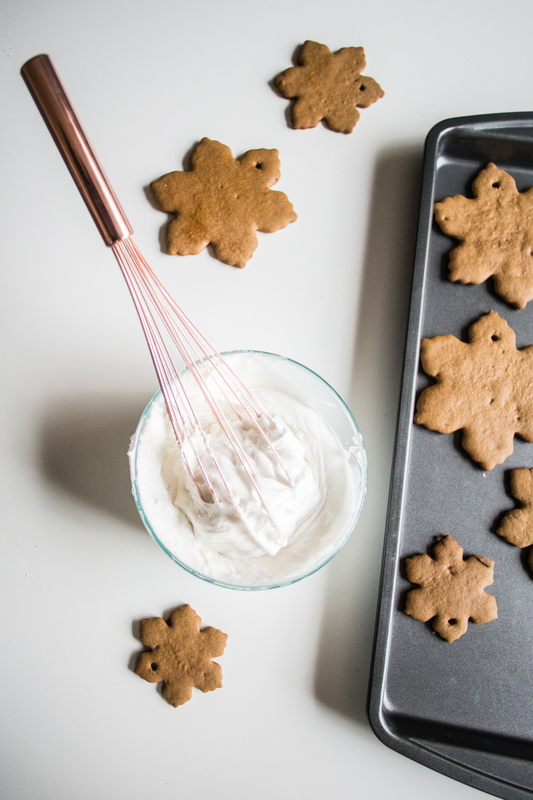 We have gotten pretty good and I shared my very favorite recipe and icing process this year over on the World Market Discover Blog. 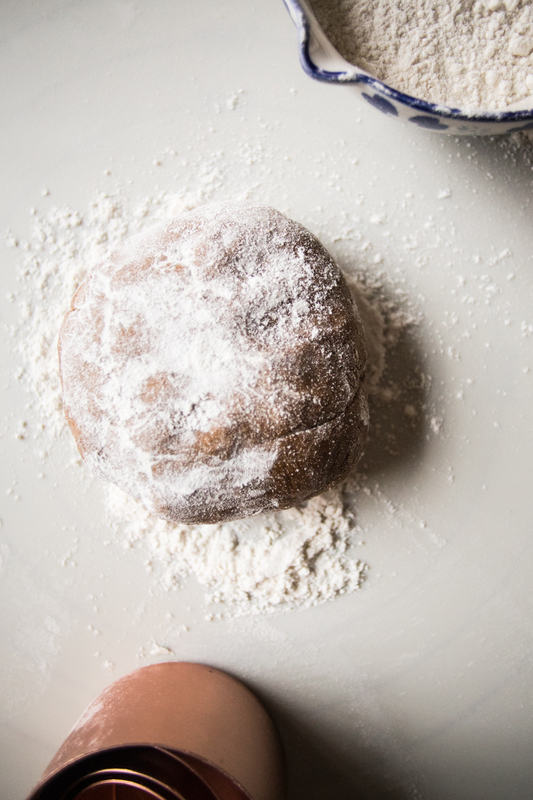 The cookies turn out balanced between chewy and crispy and they are perfect for both hanging and eating. 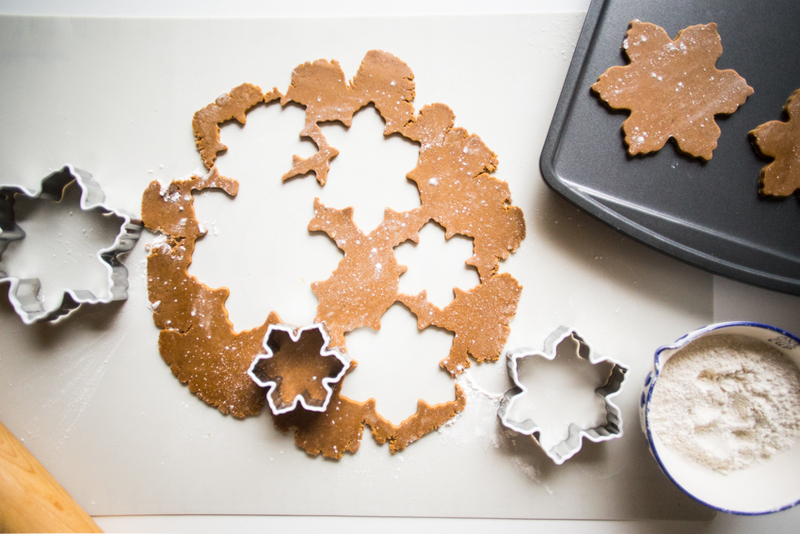 The icing sticks on perfectly for as intricate of designs as you have time and creativity for. And the feeling of baking ornaments, just like people have done for years and years, is just as sweet as ever. 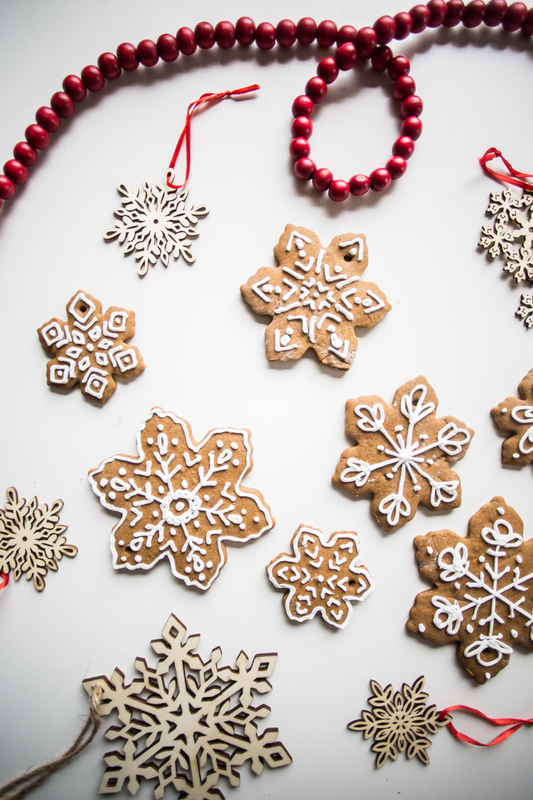 Something about this simple tradition of making gingerbread snowflake ornaments reminds me every year that there is really so little we need to be happy. We stared out with a hand-cut tree, some homemade cookies, and lots of love. That has always been enough. Sometimes we get carried away this season by ALL OF THE SHINY NEW THINGS!!! I feel that draw to buy more, eat more, do more, too. But when I stand back and think about it, the only MORE that matters a lot this time of year, and always is how we can GIVE more. More time, more forgiveness, more joy, more togetherness, and more love. Silly that some cookies can make me realize all of that! And because of that, I’ll keep making them forever.